Very military-chic, if that's a thing. It is now. 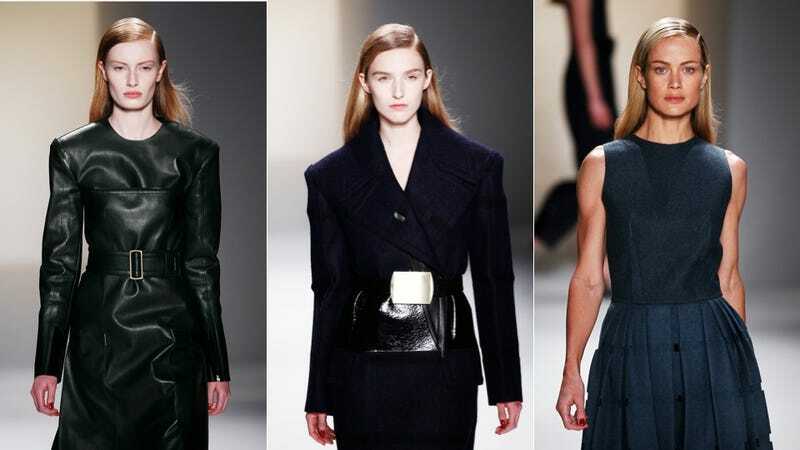 It was menswear, writ large for ladies — oversized jackets, giant belt buckles, and patent leather boots with chunky heels. Still, it was far from shapeless, and lots of the separates look extremely wearable. As in, get on my body right now. Lots of black, white, and cream, but that's to be expected. That said, Francisco Costa's 33-piece collection seems suited for a variety of ages; which is nice, especially after looking at some of the (delicious) cotton candy explosions from earlier in the week.